Turn the standard ISR Chopper style cable operated clutch or hydraulic master cylinder assys. into an adjustable setup by adding this lever. Adjustments can be made with such ease that you can use your index finger without having to let go of the handlebars. 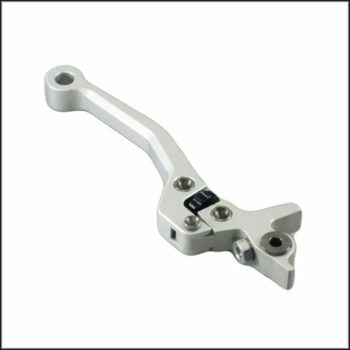 This lever fits all ISR “Chopper” Style master cylinders both left and right and is available for cable operated levers. Available in Natural Silver Finish or Satin Black Anodized.